International AutoSource (IAS) has been shortlisted at the 2017 APAC EMMAs (Employee Benefits Services Provider of the Year)! 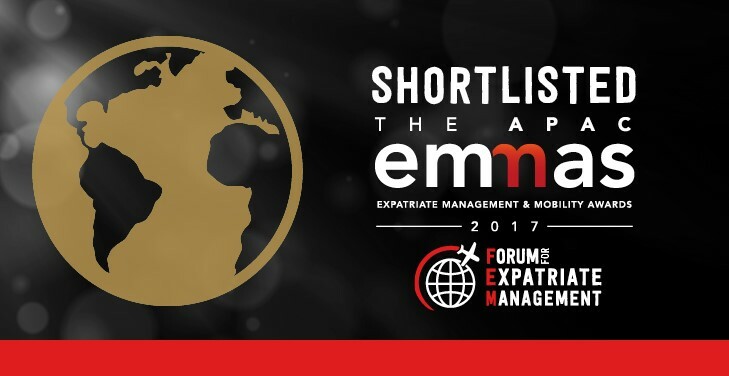 The Forum for Expatriate Management (FEM) recognizes the best and brightest in the global mobility industry. For six consecutive years, the team at International AutoSource (IAS) is honored to be recognized by FEM, as an industry leader with outstanding services and rising stars. The awards ceremony will take place on September 7th, 2017 at the Harbour Grand Hotel, Hong Kong. For over 20 years, International AutoSource has been providing value-added services and benefits specifically designed for expatriates and the global community for short and long-term assignments. Their programs offer full-service personal transportation solutions for financing, purchasing, leasing and rental without a local credit or driving history. Through outstanding service, value and support IAS strives to make assignments into a foreign country as seamless as possible while saving customers valuable time, money and resources. For more information, please contact International AutoSource at 516.496.1816, email at intlauto@intlauto.com or visit their website http://www.intlauto.com.